World Cup fans, listen up. 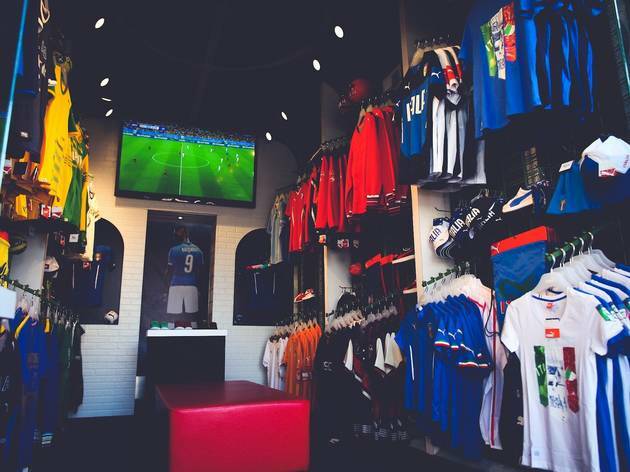 Soccer fanatics are invited to the Soccer Shop at Kicks Sole Provider (143 N Larchmont Blvd) every Saturday June 28-July 19 to buy team gear and celebrate FIFA 2014 with food, performances and family time. While you stock up on your favorite national team’s merch, you can listen to DJ sets by Mad Decent DJ’s (July 12), watch street performances (June 28), get the kids’ faces painted (July 5) and feast on Ta Bom Truck’s gourmet Brazilian cuisine (July 19). Don’t forget to get your jersey customized to show off at your next viewing party. 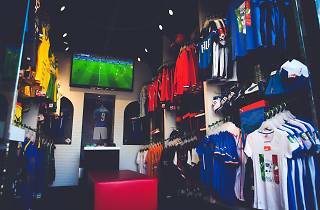 If you haven't found a place to watch the World Cup yet, here's our list of 15 places in LA to watch the game.